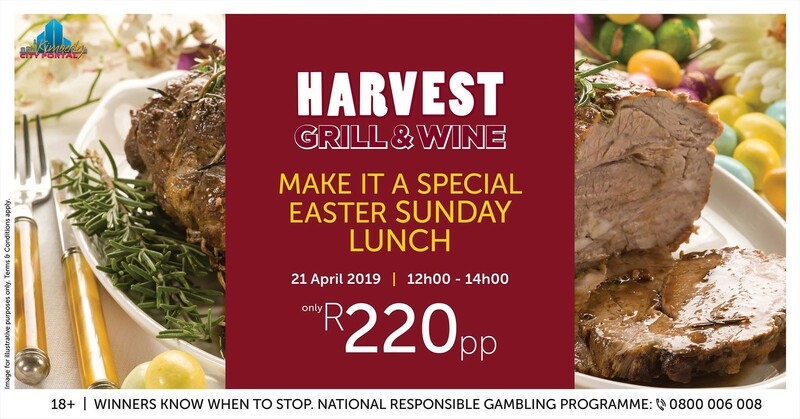 Make it a special Easter Sunday Lunch at Harvest Grill & Wine in Kimberley at Flamingo Casino. Book your spot now. Enjoy a 3-course buffet, with starters, salads and a selection of carvery with roast beef and peppercorn jus. The dessert offering includes pudding, vanilla ice cream, trifle and fresh fruit tartlets.